Marc Bartra’s first season at Borussia Dortmund was a memorable one – although not always for the right reasons. The victim of a bomb attack in April, he was delighted to round off the campaign with victory in the DFB Cup. “To win a title in front of these fans is the greatest – it gives you goosebumps,” Bartra told kicker after Dortmund’s cup final success against Eintracht Frankfurt. The Catalan took a leap of faith by joining Dortmund, having only ever played near to home with Barcelona throughout his professional career. He would have been used to playing at a big club, of course, but a move abroad presented different challenges. There was the language, the culture and the style of football to get to grips with. And, in this case, there was also a Mats Hummels-shaped hole to be filled in his new club’s defence. Bartra made his first appearance for Dortmund in the DFL Supercup, where a 2-0 defeat at the hands of Bayern Munich will have given him a glimpse of what was required to be successful in the Bundesliga. Used sparingly by Barcelona the year before, the Spain international must have been thrilled to be a key part of a young, carefree, attacking team in the Ruhr Area of Germany. He helped set the tone for Dortmund’s UEFA Champions League campaign by scoring in his first game – a 6-0 victory against Legia Warsaw. Thomas Tuchel’s side topped their group ahead of title holders Real Madrid and topscored with 21 goals in six games. Off the field, Bartra’s good cheer and interactions on social media made him even more popular with the BVB faithful. That culminated with his successful online search for and subsequent meeting with Steffi – the Dortmund fan brave enough to wear her yellow jersey amidst a sea of Royal Blue-clad Schalke fans during April’s Revierderby in Gelsenkirchen. Then came a season-defining test of Bartra’s character – and one which could have been a lot more damaging. As the team got ready to set off for their Champions League quarter-final first leg tie against Monaco on April 11, their bus was rocked by an explosion. Bartra was the only player badly injured and he initially feared the worst. “When the attack happened, I thought I would never be able to play again,” he told kicker after the Frankfurt game in Berlin. Bartra was left with a broken wrist but got a much-needed boost as the shock subsided. The doctor told him that he could play again and that he would only be out for a month. Hearing that prognosis was, according to the Dortmund defender, the best news possible. True to form, the 26-year-old quickly spread the word via Instagram. His broad smile and thumbs up for the camera looked slightly incongruous given that his arm was in a cast but Bartra’s upbeat attitude clearly worked in his favour. He will have drawn strength from the solidarity between the fans and the players as the team held Bartra’s number five jersey to the crowd following their league win over Frankfurt just days after the bomb blast. And just six weeks after being injured, Bartra was back in the Dortmund starting line-up for the final Bundesliga game of the season. He played the full 90 minutes as the home side won 4-3 against Werder Bremen – a result that sealed the club’s third-placed finish. The Spaniard was moved to tears as the Dortmund fans chanted his name after the final whistle. Following an emotional return to action, a different kind of sentiment reigned a week later. 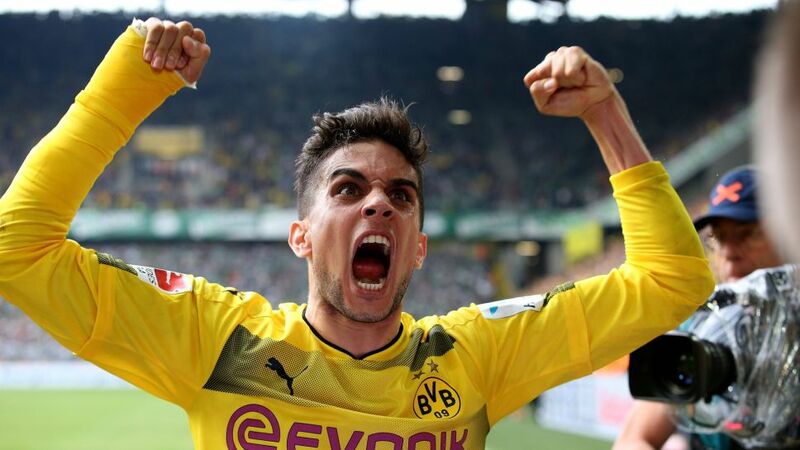 Bartra got through 76 minutes in Dortmund’s 2-1 win over the Eagles in the DFB Cup final. BVB had their first trophy in five years and their ecstatic summer signing had his first piece of silverware at the end of a rollercoaster campaign in Germany. After the game, Bartra said he had learned a lot from last few weeks of the season - a time when his life and then his career seemed briefly under threat. “Now I appreciate the normal things even more than before,” he told kicker. “Every moment – also the small ones and the details – be it with colleagues or family or friends. Suddenly everything becomes much more important. Currently savouring Dortmund’s fourth DFB Cup triumph, Bartra said he feels stronger than ever. After what he went through this year, he will be confident of going from strength to strength next season.